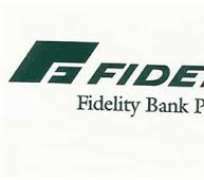 Fidelity Bank Plc has announced profit before tax of N9.43 billion for the first half of the year ending June 30, 2014. The figure released on the Nigerian Stock Exchange, NSE, represents a growth of 12 percent over N4.45 billion recorded in quarter one in 2014. The bank said in a statement that it is on track to achieve its 2014FY and medium term ROE target going by the result six months result. Gross Earnings grew by one percent from N62.9 billion recorded in H1 2013 to N63.3 billion in H1 2014. Net interest income grew by 32 percent to N24.8 billion in H1 2014 compared to the N18.7 billion recorded in H1 2013 driven by a steady growth in the loan book and re-pricing of deposits and risk assets. The capital adequacy ratio (CAR), which measures a bank's financial strength and capacity for future expansion, was 27.0 percent; well above the regulatory threshold of 10 percent. This, according to the bank, provides it the right platform to implement its expansion strategy as well as build capacity to grow shareholders value. Also, the liquidity ratio, which measures a bank's solvency and ability to meet maturing obligations, was 35.3 percent as at June 30, 2014; well above the regulatory threshold of 30 percent. In his remarks on the result, the MD/CEO, Mr. Nnamdi Okonkwo, said: 'In the half year ended June 30, 2014, we have begun to see a gradual impact of some of the transformation initiatives we commenced at the beginning of the financial year with PBT growing by 12 percent in the second quarter and net interest income improving by 32 percent between June 2013 and June 2014.